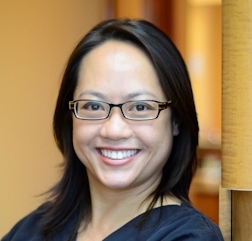 I am Dr. Liyen Keen, the owner and practicing family dentist of River Park Dental Center. I am a 2001 graduate of the University of Texas Health Science Center at Houston Dental Branch, and have been practicing as a general dentist since then. On June 26, 2005, we celebrated the culmination of all my hard work with the grand opening of River Park Dental Center. My vision is to build a family of patients based on honesty, trust, and respect. I believe that it is the responsibility of a health care professional to promote open communication with the patients. I encourage my patients to ask questions and am open to discussions about diagnosis and treatment, so that they can make an informed decision about their oral care. Dentistry is a constantly evolving field with new materials, techniques, and procedures. In order to provide our patients with the latest in what dentistry has to offer, I have taken over 500 hours of Continuing Education. My staff attends meetings and events so that they, too, keep abreast of what is new in dentistry. As a member of the Academy of General Dentistry, I have available to me the best resources and publications in the dental field. Aside from dental knowledge, other aspects of my life affect how I practice dentistry. My parents are Taiwanese and I was born in Brazil, so I am fluent in Taiwanese and Portuguese. We have many patients that feel comfortable at my practice because I can explain procedures to them in their native language. I also enjoy very much meeting people of different walks of life, backgrounds, and cultures, and love to visit with my patients. The friendly and comfortable relationship that I have with my patients and my ability to help them is what makes dentistry, for me, such a wonderful profession. If you are looking for a dental home where you know you will be provided with quality dentistry in a friendly environment, please give us a call. You won't be disappointed!